How to Make Vegan, gluten-free and healthy Masale Bhat using instant pot. Maharashtrian celebrations like weddings, parties are incomplete without a tasty and spicy Masale Bhat. 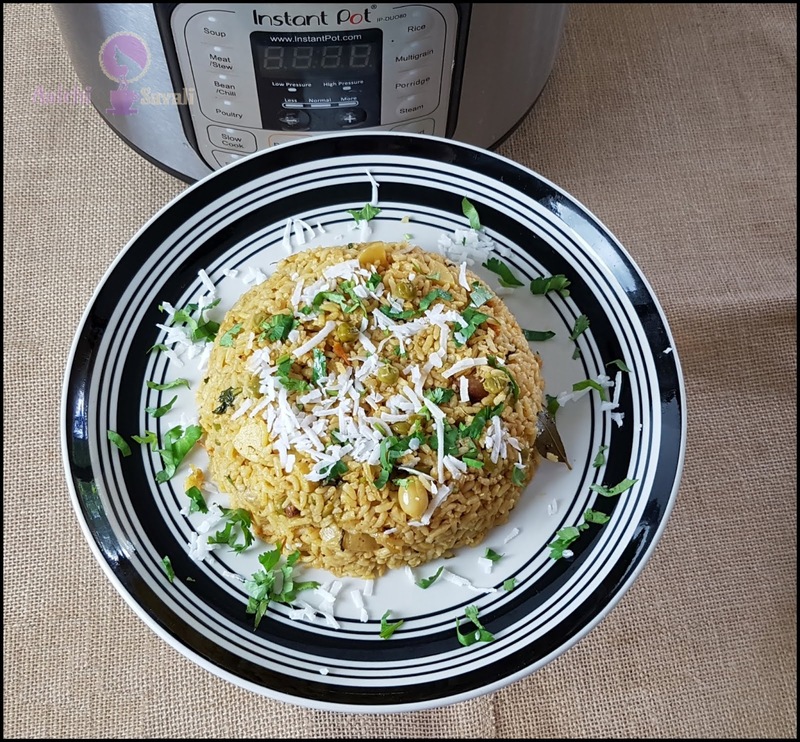 Today I am sharing this simple, vegan, gluten-free and healthy Masale Bhat (vegetable pulao) recipe which is prepared using an instant pot and it is great for the busy morning. This is great to put in the lunch box too. 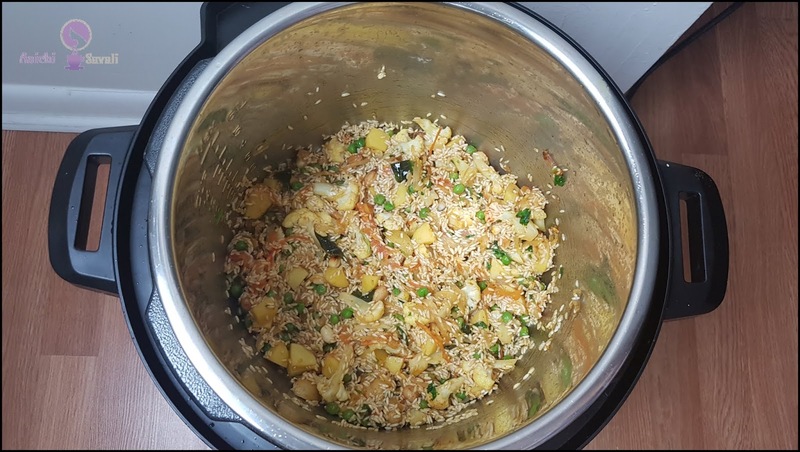 It is a simple and one pot rice recipe, which doesn’t need much work. The flavors and spices which go through this dish are perfect. Masale bhat is always considered as a complete meal without any side dish to it. Also, it is often served as a rice dish in a thali. Prepare the spice mix masala ahead in advance and use it whenever you like to prepare this flavourful masala bhat. 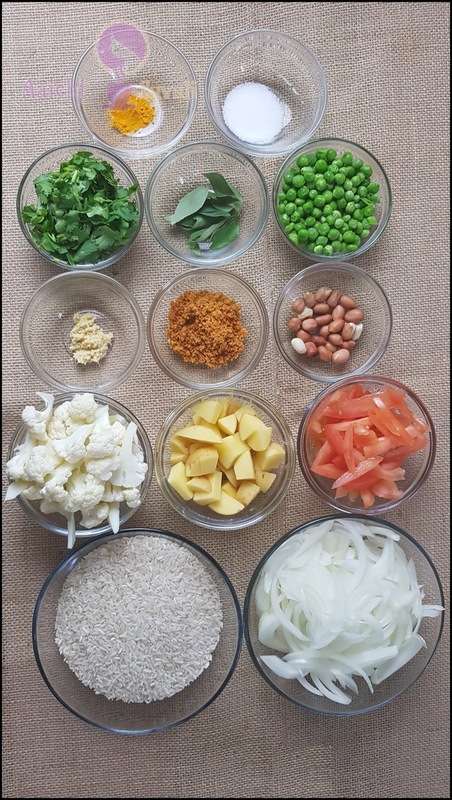 Addition of vegetables makes this rice more healthy and flavorsome. One serving of Masale Bhat has 5.4 g protein and 3 g dietary fiber. cardamom pods, cloves, cumin seeds, sesame seeds, red chili powder, and coriander powder. Grind to make a powder or masala and keep aside. 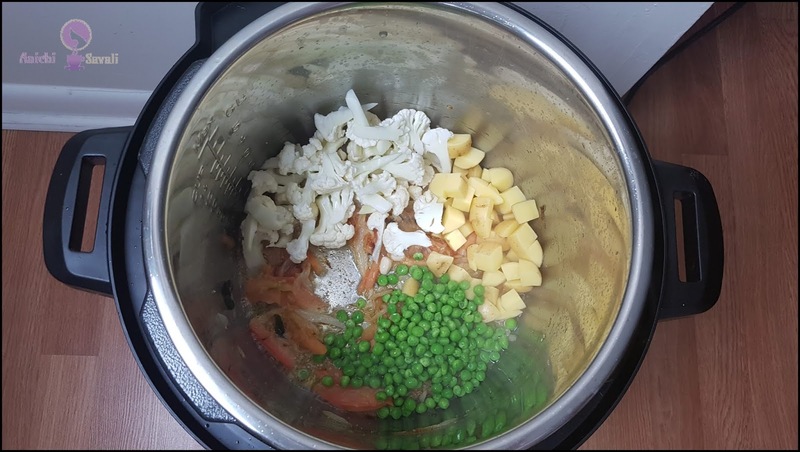 Turn on instant pot and press sauté function, heat veg. oil and splutter curry leaves. Add chopped tomatoes, ginger garlic paste, and peanuts and cook until the tomato begins to break down. Add cauliflower, potatoes and green peas, saute and mix well. Now add turmeric powder, salt, prepared masala powder and half of the coriander leaves and mix well. Add rice, mix all and add water 3 cups. Open the lid, mix the rice, and garnish with fresh grated coconut and coriander leaves. 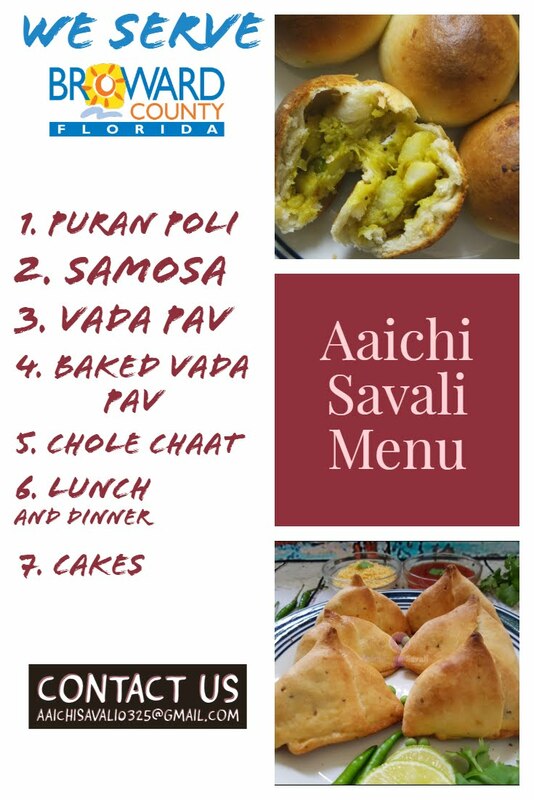 Per serving contains 250 calories, along with carbohydrates - 48.01 g, dietary fibers - 2.95 g, fats - 4.88 g, proteins - 5.4 g.
It's good to eat Masale Bhat for lunch or brunch.